Fortis has accepted a ($585 million) offer from IHH for a 31 percent stake, capping a months-long bidding war for control of the Indian firm that drew interest from domestic and international suitors. Malaysia's IHH Healthcare Bhd is set to take control of Fortis Healthcare after its bid of up to $1.1 billion was chosen over a rival's, giving it ownership of 30 hospitals amid a private healthcare boom in India. Cash-strapped Fortis said on Friday it accepted a Rs 40 billion ($585 million) offer from IHH for a 31 percent stake, capping a months-long bidding war for control of the Indian firm that drew interest from domestic and international suitors. Fortis will issue IHH new shares at Rs 170 per share, a roughly 20 percent premium to its last closing price. Under Indian regulations, IHH will then bid for another 26 percent of Fortis at the same price, offering up to Rs 33 billion. IHH's offer beat out a joint bid from Indian firm Manipal Health Enterprises Ltd and US private equity firm TPG Capital. Radiant Life Care, an Indian firm backed by US private equity company KKR & Co, had also shown initial interest in acquiring Fortis. Private healthcare spending in India is rising rapidly, making Fortis an attractive target, as the government aims to expand insurance to hundreds of millions of people in a country that lacks adequate health facilities. 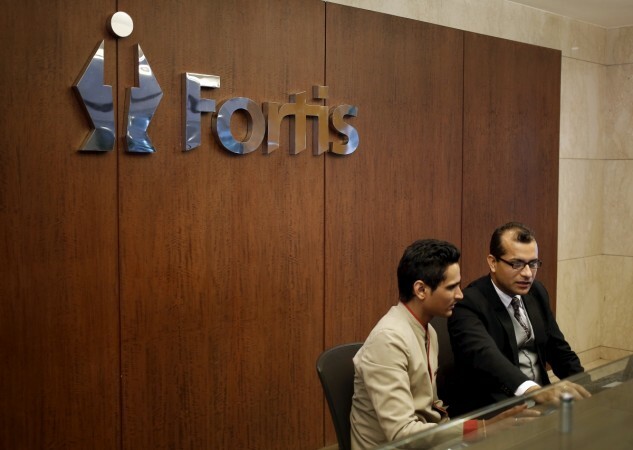 The insurance scheme is expected to benefit private hospitals such as those run by Fortis. IHH's offer is the third one that Fortis has approved this year, with a previous offer being shot down by shareholders. Fortis shares were up 2.5 percent at Rs 145.80 on Friday morning, below the offer price. Fortis said it settled on IHH's "simpler" offer, which will allow the Indian firm to refinance up to Rs 25 billion of debt, and address its short-term liquidity needs. Manipal had offered Rs 21 billion at Rs 160 per share. Fortis said it will call a shareholder's meeting at the earliest to seek approval for the IHH bid. IHH said in a separate statement it expects the deal to be completed in the fourth quarter and does not expect it to have any material effect on profits for the fiscal year ending December 31. Its shares were on a trading halt and will resume trade in the afternoon. Fortis has struggled with a cash crunch, rising debt, and image problems. India's Serious Fraud Investigations Office and the Securities and Exchange Board of India are looking into allegations that founders Malvinder Singh and Shivinder Singh took funds from the company. The duo, who have since left the company, denies wrongdoing. The company at first accepted a merger offer valued at Rs 150 billion from Manipal-TPG. After that four other suitors threw their hats in the ring, escalating it into a rare bidding war. Fortis then approved an Rs 18 billion investment offer from a consortium of two prominent Indian business families. But with several shareholders expressing their displeasure through the process, Fortis was forced to re-evaluate its initial choice and re-open the bidding process. Several directors stepped down from the board as concern mounted over how they had handled the bids. Fortis shares have declined 11 percent so far this year.